Easter Seals Hawaii (ESH) is a statewide organization affiliated with the national Easter Seals organization that supports and serves people with disabilities or special needs in their communities. Their services range from evaluation and assessments to design of individualized plans or programs to address needs, appropriate interventions, and coaching and support for the family, other caregivers, or people in the participant’s circle. 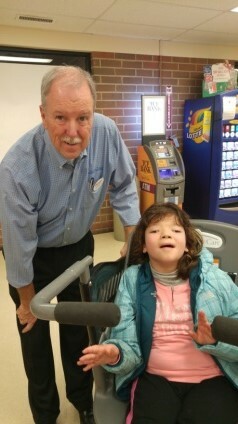 Safeway Foundation granted $60,000 to help support their Autism Spectrum Disorder (ASD) program. ASD is a developmental disability that affects a person’s ability to communicate and interact with others. ESH provides assessment services; treatment plan development; functional behavioral analysis; evidence-based treatment; coordination with schools and other agencies; linkages to speech, physical and occupational therapists; and family member support, education, and training. Special Olympics Northern California and Nevada (SONC/NV) is dedicated to enriching the lives of children and adults with intellectual disabilities through sports, education and athlete health. SONC/NV offers free year-round training and competition programs for over 24,000 athletes who compete in a combined 271 competitions in 14 sports. Funding from our foundation helps Special Olympics continue their year-round sports training and competition programs in communities across Northern California and Nevada in 12 sports. In addition, our funding supports and grows athlete participation in the Special Olympics Summer Games in Northern California at UC Davis and at the Nevada Summer Games in Reno, Nevada. 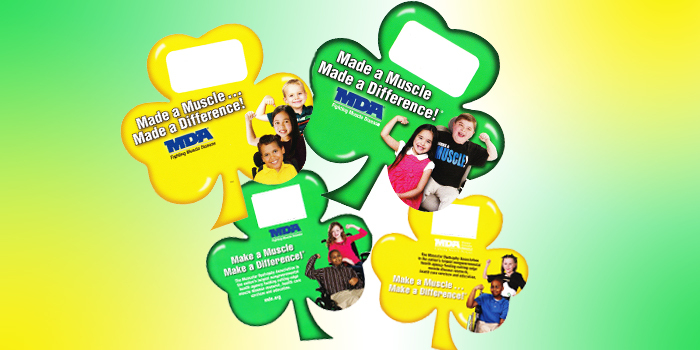 MDA is leading the fight to free individuals and the families who love them from the harm of muscular dystrophy, ALS and related muscle-debilitating diseases that take away physical strength, independence, and life. MDA Summer Camp for children ages 6-17 living with muscle disease gives kids with limited muscle strength and mobility a life-changing experience in an environment without barriers. Funding from our foundation was able to provide sending approximately 300 children to attend six different week-long camps throughout Northern California, Nevada, and Hawaii. Our company is proud to stand in celebration with the LGBT community at the San Francisco Pride Parade. 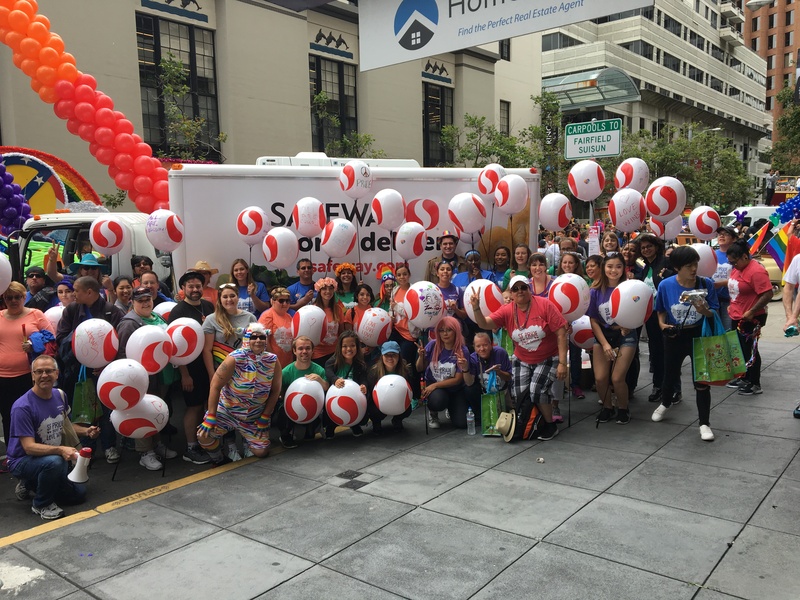 For more than seven years, our foundation has supported SF Pride and employees from our corporate offices and stores throughout the Bay Area walk in the parade to celebrate diversity. The parade contingent is organized and made possible by Safeway Foundation and the Safeway LGBT and Allies Network. It was a beautiful day on Sunday, June 25th, 2017 as thousands of people lined the street in downtown Seattle to celebrate members of the LGBTQ community. 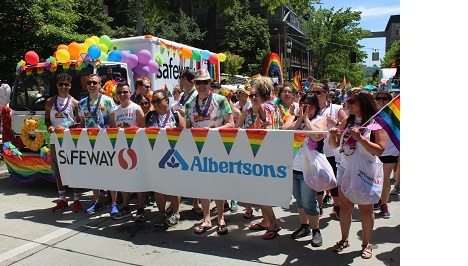 Dozens of Albertsons and Safeway employees and their families from across the Division walked in the annual Seattle Pride Parade. Safeway, Albertsons and CARRS are committed to diversity and equality. 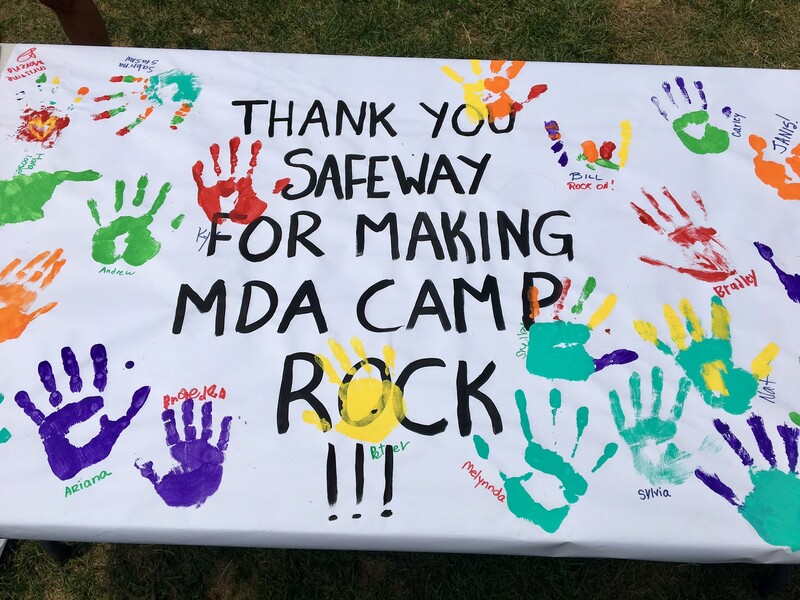 MDA Summer Camps provides thousands of kids with muscular dystrophy and related muscle-debilitating diseases “the best week of the year.” Safeway Albertsons is proud to be sponsoring three camps this summer in Western Washington, Eastern Washington and Alaska. The campers get an entire week to enjoy adventures like horseback riding, swimming and fishing, while developing lifelong friendships, self-confidence and independence. In June, 2017 in Western Washington, more than a dozen employees from eight Safeway and Albertsons stores volunteered their time to host a carnival day for the kids at Camp Winslow in Gig Harbor. The kids played games, won prizes and had a lunch served by Safeway and Albertsons volunteers. In July, 2017, Safeway and Albertsons employees in Eastern Washington and Northern Idaho hosted a sponsor day at Camp Twinlow in Northern Idaho. They helped build cardboard boats for a race on the lake and cooked a delicious BBQ dinner for the campers. A relationship that started 30 years ago has blossomed into a strong partnership. 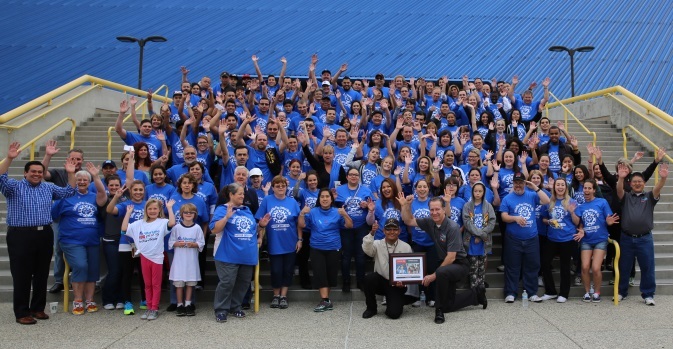 Albertsons and The Vons Foundation first worked with Special Olympics Southern California (SOSC) as a liaison to help get food items for SOSC’s annual Summer Games. That evolved into a dynamic year-round partnership that includes funding, volunteerism, athlete employment and board representation. 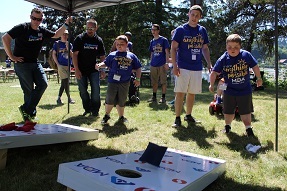 Today, Albertsons and The Vons Foundation is the Title Sponsor and “Official Food Supplier” of Summer Games – the organization’s largest annual competition for athletes with intellectual disabilities. Each year, 200 employees volunteer and arrive as early as 3:30 a.m. to ensure that sandwiches are prepared, packed and ready to be served as part of the 10,000 lunches provided to the athletes, coaches and volunteers on the weekend of the Games. The contributions go beyond just once a year. Together, the partnership has resulted in more than $3.4 million in financial support and budget relieving donations since 1986. Each year since 2009, Albertsons and The Vons Foundation has included Special Olympics as a beneficiary in its consumer donation program at the checkout counter to help people with disabilities. More than 19,000 athletes are the ultimate beneficiaries, and the funds help provide resources such as equipment, uniforms, year-round training in a variety of Olympic sports and travel accommodations to competitions. The continuous opportunities to train and compete not only develop the athletes’ physical fitness, but the courage to share their gifts and skills in front of friends, family and the Special Olympics community. The partnership extends beyond the playing field, as well. Albertsons and The Vons Foundation has helped Special Olympics athletes transition into the workplace, including Lindsey Newman of Carlsbad. “The friends I have made over the years at Vons and the support I get from co-workers is unbelievable,” Newman said. The foundation also assists in providing leadership and guidance to SOSC. Andy Barker, senior vice president of operations for the Albertsons, Vons and Pavilions Southern California Division, sits on the SOSC board of directors. “We strongly believe in their mission and our employees continuously are dedicated to making a difference in the lives of thousands of individuals with intellectual disabilities,” Barker said. Annual MDA camp at the Macleay Retreat Center is a tradition for Safeway and Albertsons employees. Serving lunch to the over 75 camp attendees, their counselors, and over 150 people total, is something employees look forward to year after year. Serving lunch has been a long time tradition for both brands. A year does not go by in which we are not told that our lunch is the favorite of the campers all week! It takes a lot to save just one homeless animal. So imagine what it takes to save thousands. In July the Arizona Humane Society again made a commitment to save the lives of thousands of more pets. 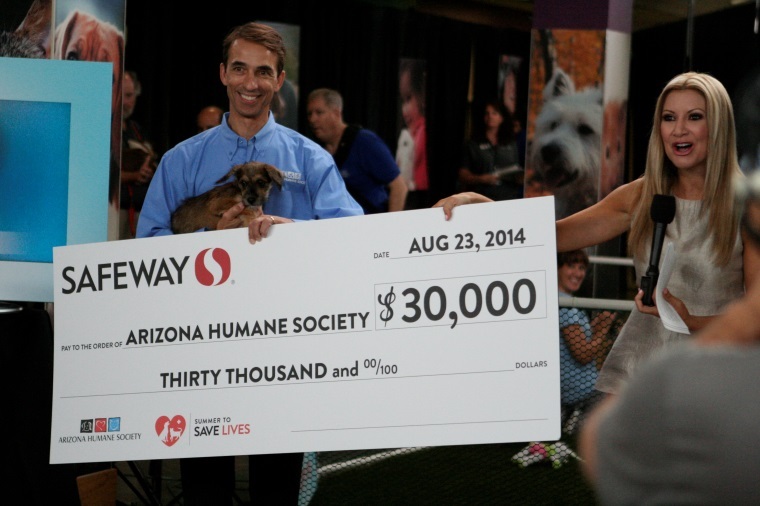 Through a special partnership, Safeway has joined forces with the Arizona Humane Society and 3TV to raise $30,000 for Arizona’s largest animal organization, the Arizona Humane Society. In addition, to helping homeless pets, the money raised through the partnership also goes to the humane society’s pet-therapy program, that allows children and adults with disabilities to work with pets at the Arizona Humane Society. AHS also works to place specially trained homeless dogs with individuals with disabilities. Safeway volunteers will present a check from money raised in July on the 3TV Arizona Humane Society Telethon in late August. A BIG THANK YOU to store managers and all checkers for getting behind the campaign again this year! 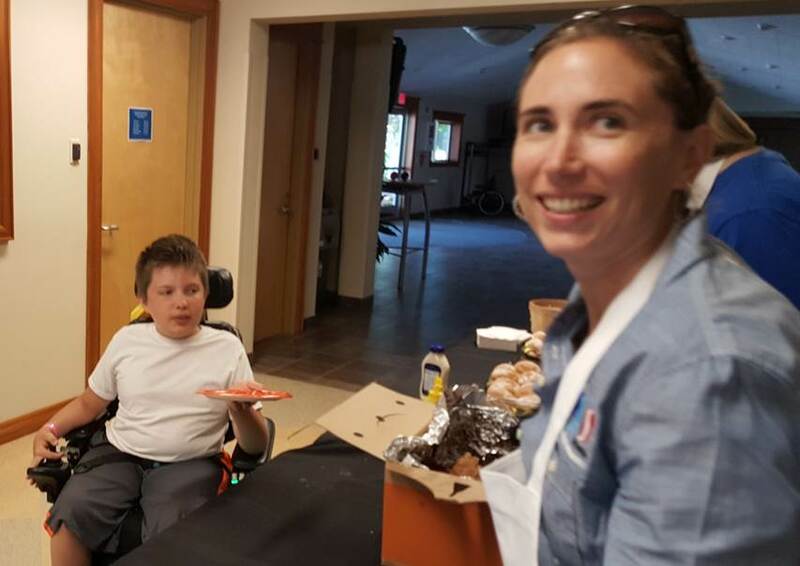 Funded in part by contributions from our generous customers and employees during the Send-a-Kid-to Camp Campaign, the Muscular Dystrophy Association’s summer camp provides kids with muscular diseases a camp with swimming, zip lining, fishing, canoeing, and dancing. Randalls’ Pharmacy team arrives before the campers to get ready to check in camper’s medications and medical devices. Additionally, Randalls Awesome Adventures in Cooking had campers and counselors making pizza roll ups, candy sushi and ocean breeze beverages. We extend special thanks to our friends at Nestle/Dreyer’s for providing delicious cool treats for the campers and counselors to enjoy at snack time! 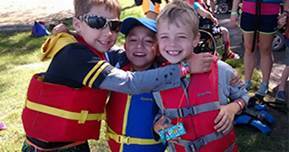 For more than 20 years, Safeway has supported MDA’s Summer Camp program not only financially but by offering Associates the chance to attend summer camp and spend the day with youngsters in local communities whose lives are being changed as a result of Safeway’s support of MDA. 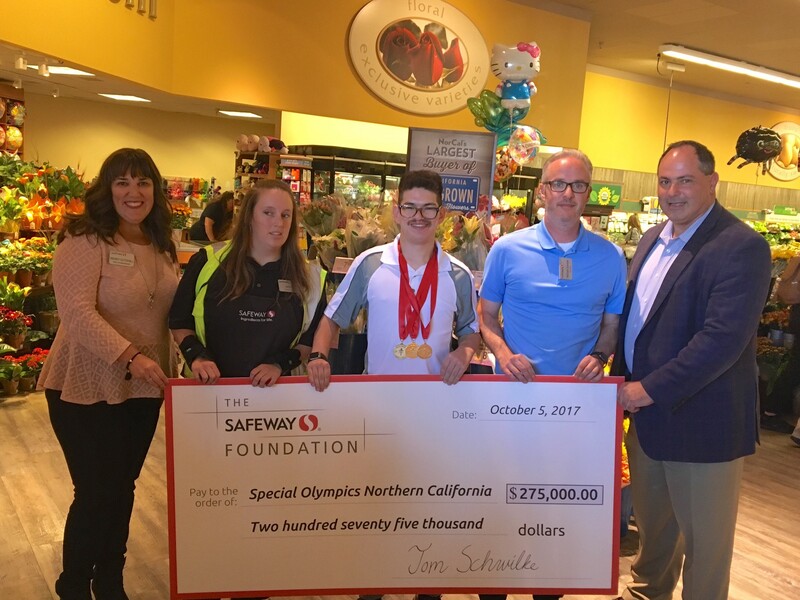 Albertsons and Safeway are one of the largest employers of people with disabilities and it is our honor to support organizations like Special Olympics Colorado. For the past three years, Safeway has sponsored the Summer Games in Grand Junction, Colorado. 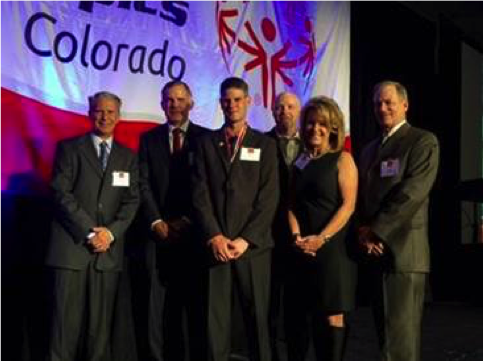 The Summer Games feature 500 athletes from across the state, including Chris Guay, an employee at our Safeway in Glenwood Springs, who was honored by Special Olympics Colorado as Male Athlete of the Year for 2015. Each year, Albertsons Safeway hosts a barbecue for more than 150 campers and counselors at the MDA Summer Camp in Empire, CO. 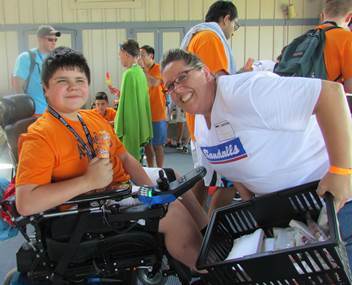 Thanks to the more than 40 employee volunteers, we are able to serve up smiles to kids battling neuromuscular diseases. Funds raised in our stores also help send dozens of kids to camp every year. Thank you!